At first glance, a composite flower like the daisy looks simple, with petals forming rays around a colorful disk. Upon closer inspection, however, these flowers aren't simple at all. The flower is actually made up of many flowers--inflorescences--masquerading as a single flower. Each "petal" is a flower, as is each bump on the disk. 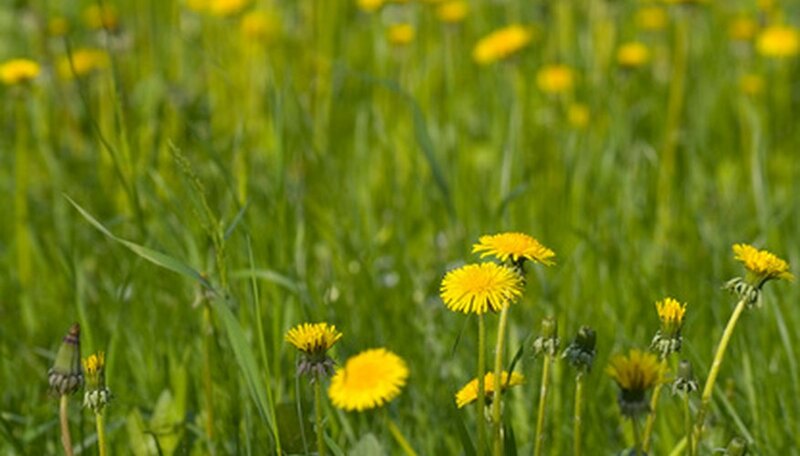 Other examples of composite flowers are sunflowers, chrysanthemums, dandelions and zinnias. On a composite flower, what look to be petals radiating from the center in spoke-like fashion are individual blooms called ray flowers. They are sometimes described as "ligulate," which refers to their strap-like shape. Some composite flowers--the dandelion and chrysanthemum, for instance--only possess ray flowers. 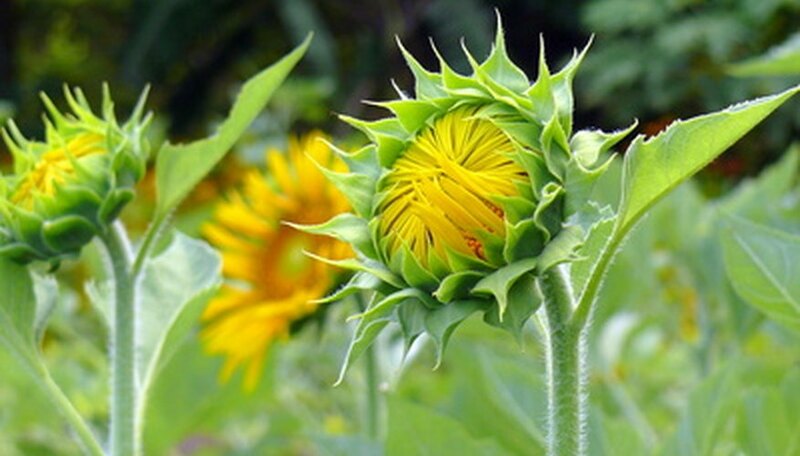 Composites like the sunflower also include disk flowers found at the center. 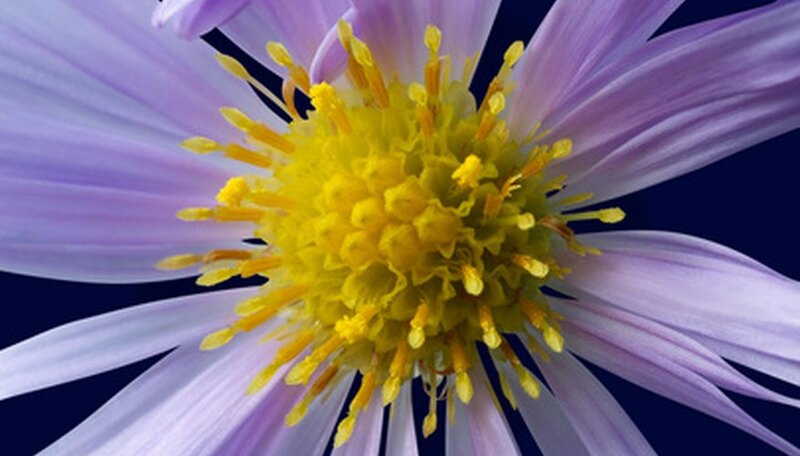 The location of disk flowers are easy to spot in the center of a composite flower such as aster; the ray flowers point inward to where disk flowers are packed together. Some composites, though, only possess disk flowers. 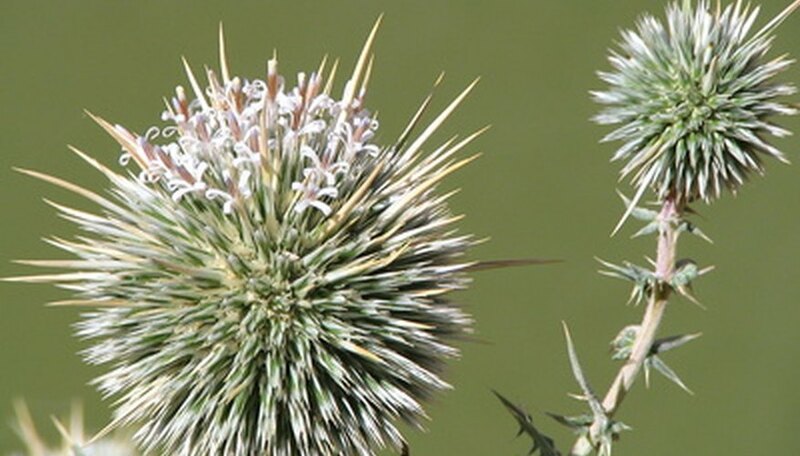 These include thistles and burdock. Each disk flower produces one seed and is either female or a hermaphrodite with both male and female parts. Disk flowers tend to be shaped like tubes. Stamens are one of the four major flower parts along with pistils, petals and sepals. Stamens are the male parts in flowers that have them, producing sperm in rounded lobes called anthers. In composite flowers, often the anthers fuse together to form a ring around the female pistil. 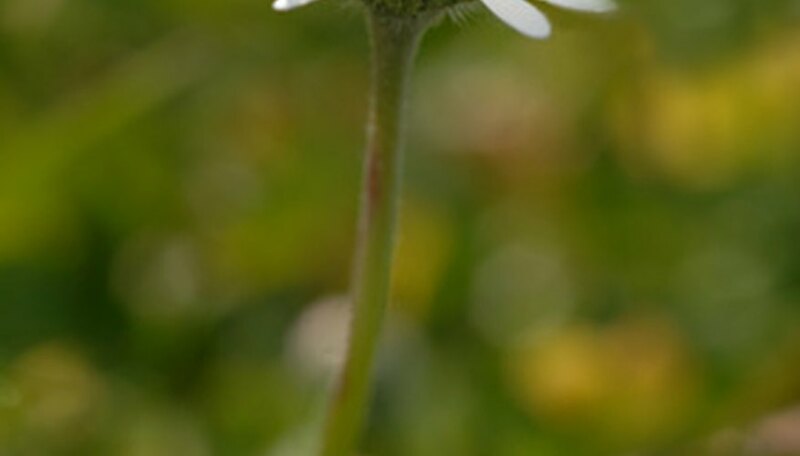 The female flower parts are called carpels, often fused into a single pistil that's found at the center of any flower that possesses them, including disk flowers. In composite flowers, the pistil's style--a stalk connecting the pistil's ovary and stigma--rises up in the middle of the ring of stamens. The fruits of a composite flower are called achenes. This includes fruit from the sunflower, which in everyday parlance are known simply as sunflower seeds. On a flower, sepals are accessory parts--that is, they aren't directly involved in reproduction. They are usually leaf like, though in composite flowers, they are transformed to something more akin to scales, or into what are termed pappuses, which look like hairs, threads, bristles or even barbs. Pappuses can help with seed dispersal. Barbs, for instance, hook into animals, carrying seed. 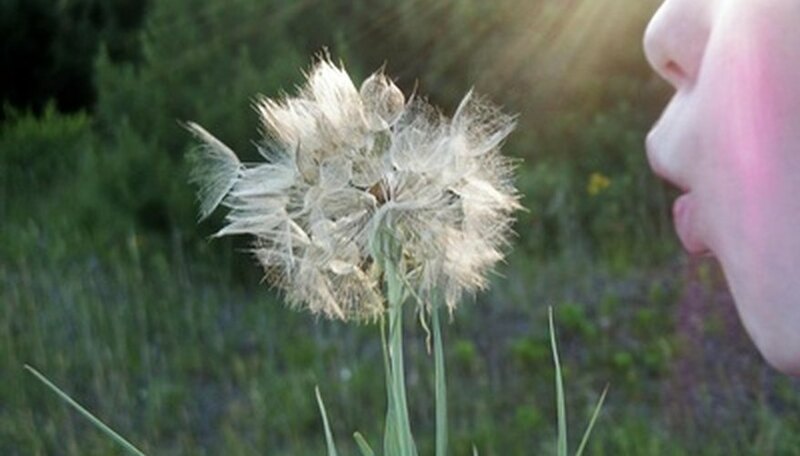 Children often blow dandelion pappuses, sending the seeds floating away. Bracts, like sepals, are leaf-like growths. They may look like sepals, petals, scales or not be there at all. If a composite flower possesses them, they'll be found on the very outside of the flower structure. You can't miss the bracts found on artichokes; the bracts are the part you peel off and eat, usually with butter. Rows of bracts are called involucres. The receptacle of a composite flower is the top of the stem from which all the flowers arise. Though it isn't strictly part of the flower, it is a good starting place to identify the parts of a composite "flower," since parts occur in the same order on all flowers. Cutting a composite in half through the receptacle can help a gardener become familiar with the workings and structure of composite flower.